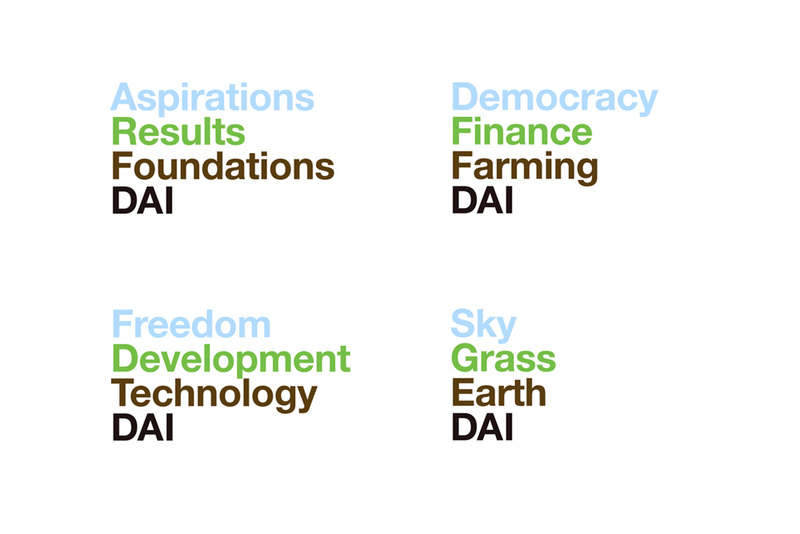 Identity for Development Alternatives International. DAI uses technology to help third-world cultures thrive. Easy to apply to vehicles and projects, each color in the “flag” represents as critical step in the development process. Created for MetaDesign.